Aid projects designed to help some of the poorest people in the world and mitigate climate change have been harmed by the dramatic fall in the value of the pound since the Brexit referendum. Programmes aimed at alleviating poverty in the Congo Basin region and supporting refugees in Uganda have both had to be scaled back, according to UK government documents. UK support for programmes mitigating climate change have also been hit. The World Bank’s Forest Investment Program, a fund to encourage reforestation, faced an “unrealised currency loss of $37.26million” last year due to the fluctuation of the pound. NGOs say they have had to balance their currency losses with income from other sources. Claire Godfrey from Bond, the network that represents UK international development NGOs, told Unearthed that the current uncertainty “hits the most vulnerable and poorest people the hardest”. The news comes as MPs on the International Development Committee today heard evidence from policy institutes, including E3G, on ways UK aid money can be used to mitigate climate change. For years, the relative strength of the pound meant organisations working with the Department for International Development budgeted in sterling. But fears about the impact of Brexit on the British economy have seen the value of the pound fall dramatically since the June 2016 referendum, leaving some aid projects under-funded. Annual reviews and business case summaries of aid projects published by Dfid on Development Tracker show that several programmes have been affected by the fluctuation of the pound since the referendum. A project aimed at reducing deforestation and “improving the livelihoods of forest dependent communities” in the Congo Basin region has had to “scale back on activities to align with the new value of sterling”. The latest review of a £45m programme providing “emergency life-saving assistance to the large influxes of refugees arriving in Uganda” warned that a “weaker pound would mean fewer beneficiaries will be reached and therefore less impact”. An effort to “improve water security and climate resilience for poor people” around the world has also been caught out by the fall in the value of sterling, with the project’s annual review stating that partners on the programme may have to “reduce operational budgets” due to currency uncertainty. 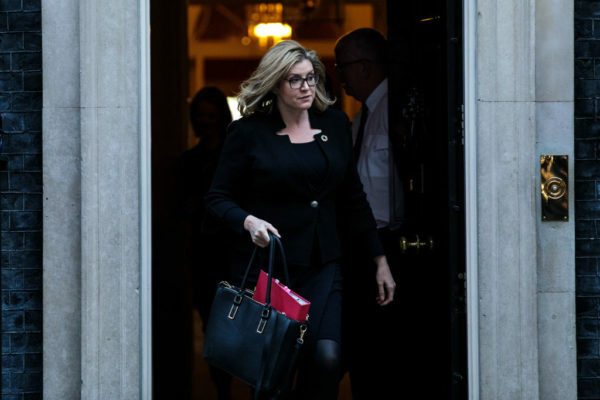 Unearthed approached several major aid organisations receiving Dfid funding to ask if their projects had been affected by the fluctuation of the pound. These included the German organisation GIZ, which works on the Water Security Programme, and Rainforest Foundation UK, which works on the Congo Basin project. All said they had found ways of insulating themselves from such uncertainty, by diversifying their donors and getting funding in a mix of currencies. But such options aren’t open to smaller NGOs, which carry out work on the ground. Joseph English, a communications officer with Unicef, which receives Dfid funding, told Unearthed: “Any fluctuation in currency markets can cause revaluations of funds held by Unicef country offices or funds in support of Unicef programmes, and can lead to resource shortfalls or surplus. David Hulme, executive director of the Global Development Institute at the University of Manchester, told Unearthed he feared Brexit could reduce the ‘soft power’ derived from the UK’s aid programme. “In the short term, any fall in the value of the pound will affect many aid programmes, but the longer term consequences of our declining global influence could be even more profound. In March 2015, David Cameron’s government passed a bill to enshrine in law the UK’s commitment to spend 0.7% of gross national income on aid. At the time of publication, Dfid were yet to provide a comment. The World Bank did not respond to a request for comment. A version of this story was also published by New Statesman.